Mix up your training with these tips from runner and former NRL player Ben Lucas. When it comes to training for a run, you should have a number of different programs to cover different courses. For example, if you’re running a course with hills, you’ll need to include both hill sprints and strength work into your program. Here are my five recommended training styles to work into your next program. Fartlek (Swedish for “speed play”) is a simple form of long distance running that blends fast running with slow running. Sprint training is another interval training approach, comprising of 80 - 100 m sprints, followed by brief rests, before sprinting again. If you're a beginner, you can modify this by combining walking with jogging. Both of these methods can help you boost your speed, and improve your stride. They also keep training fresh for your mind and body; are great for burning more calories (because of the intensity); and can help prevent injury (as you aren’t at maximum effort the whole time). A long run day is imperative if you’re participating in a fun run, however you don’t have to complete the full distance in your training. If you are starting out, aim to run for 30 minutes, and work up to 40 minutes the next week. As you progress, add more time or distance to your long run day, until you’re running the complete distance. Just make sure you taper off in the leadup to the event. No use being tired or sore on race day! If your course has hills in it, make sure you practice hill sprints prior to race day. The last thing you want is to burn all of your energy because you weren’t prepared for the inclines! Simply find a hill that has a 100 - 200 m distance. Sprint up the hill and walk back, and repeat 5 times in your session. Even though it’s not running at all, strength training and weight bearing exercises are great for runners. 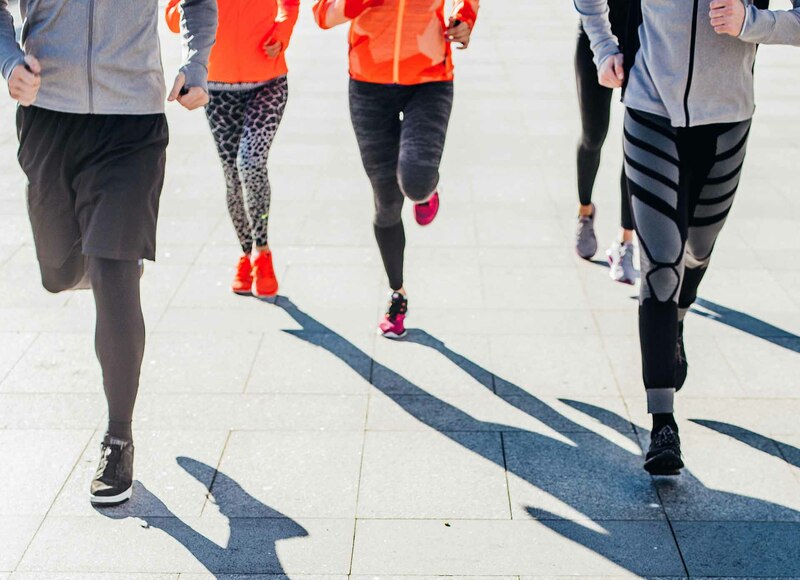 Focus on the main muscle groups used in running (such as glutes, legs, core) and your posture, and work on any imbalances that could affect your performance. Yoga helps you build strength, as you tend to hold poses for quite a while, and are constantly flowing into the next movement. It’s also great for balance, flexibility, mobility and mental endurance, which are important for any fitness event. I balance my running and strength training with yoga, and found it has improved both my recovery and performance. In fact, lots of professional athletes consider yoga to be a very important part of their training schedule. If it’s good enough for them, it’s good enough for you! Ben Lucas is a former NRL player, and the founder of Flow Athletic, Sofa 2 Surf and Flow After Dark. He has been in the fitness industry for 16 years, and runs marathons and ultra marathons.